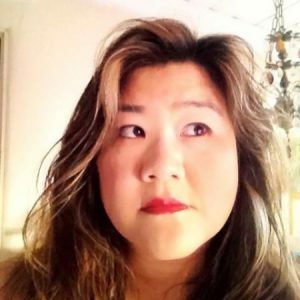 Eve Chang is a game producer specializing in free to play micro transaction PC games and freemium with IAP mobile games on multi platforms. She has worked for Activision, Crytek, and Spin Master. She currently works for EA out of India. I am not a big gamer. It’s not true that you have to be a gamer to be good at your job in this industry. I play for work mostly, so Call of Duty Online was the latest game I have been playing. I started in CG but quickly realized that my multi-tasking skills are best suited for the gaming industry. I would say 4 1/2 years ago. Being too proactive, sometimes chips need to fall where they may. I still speak my mind, but learning to sit back and let things take its course. Not trained for a career in games, and in 5 years I have worked on a couple AAA quality games. As a producer, always have a couple plans in place for the major tasks, so that you are not surprised when things don’t go the way they should. They rarely do. I have a BFA in painting and photography. More and more gaming is being utilized for other purposes in addition to entertainment; this is helping to widen the market and the possibilities. For example, more and more educational games are being made. Be persistent, be willing to do whatever it takes to get it done, be happy while doing it. There are a lot of people with great skills. At the end of the day, the person who is nice and works hard and gets along with the team is the person who will get the next project.